Windows play a crucial role in our homes. These key fixtures act as an entrance through which light could flow into our properties and clean air makes its way into the property. Nevertheless, when they’re not cleaned properly or frequently enough, they could be an unsightly thing to look at. Therefore, it is vital that you have your windows cleaned as much as possible. While employing a cleaning professional is something that you could do, there comes a time when you’ll need to do the job on your own. Consequently, it’s best that you evaluate these Window Cleaning London tips. Window cleaning is not so hard if you know what has to be done. The most critical thing is to ensure that you get the most appropriate equipment and cleaning detergents. A few of the most important things that you need to have are a bucket, a squeegee, a mop along with a scraper. These things will play a vital role in the cleaning approach. If your windows are elevated or perhaps in hard to reach areas, then a ladder is something that you might also need. 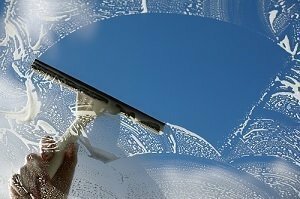 Before you start cleaning your windows, it is crucial that you have the appropriate cleaning detergents at hand. The great news is that the market is awash with window cleaning detergents which are extremely effective. On the other hand, you could opt to come up with your own cleaning solution that could do the job equally well. With these Window Cleaning London guidelines, cleaning your windows is going to be much easier. If you have no time to accomplish all of these things alone, call 020 3322 8261.